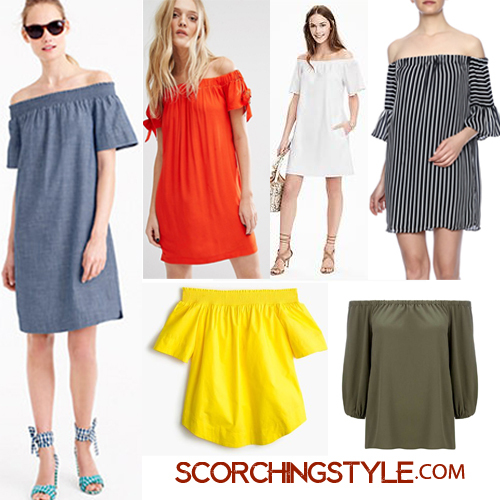 I am loving all the off the shoulder options that nearly every retailer has this spring and summer. 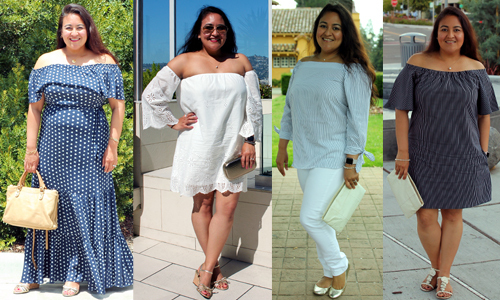 Off the shoulder dresses and tops are a very easy way to show some skin while staying mostly covered. 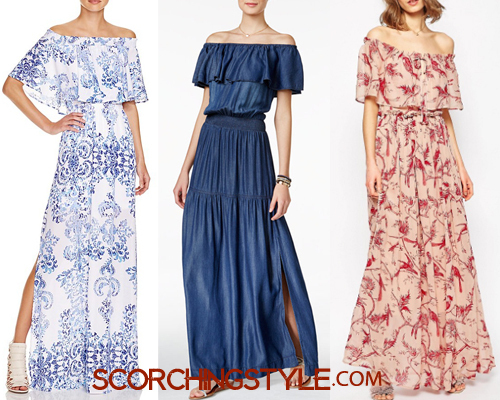 In addition, I feel like the off the shoulder detail really dresses up a look without looking overly fussy. It is a perfect solution for those who are self conscious about their décolletage or their arms as all of that stays covered while baring some skin at the same time. Above are just a few recent favorites of mine. 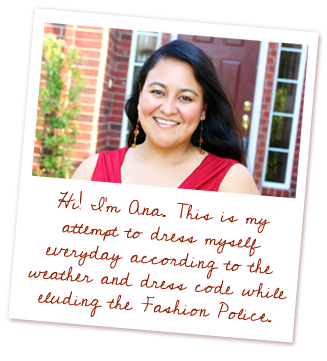 The pinstriped Banana Republic dress is such a favorite that I already ordered it in white, too. Below are some of my favorite options and I may or may not be blowing my entire summer budget on several of these. OMG love, love the polka dot maxi, so adorbs on you!! !